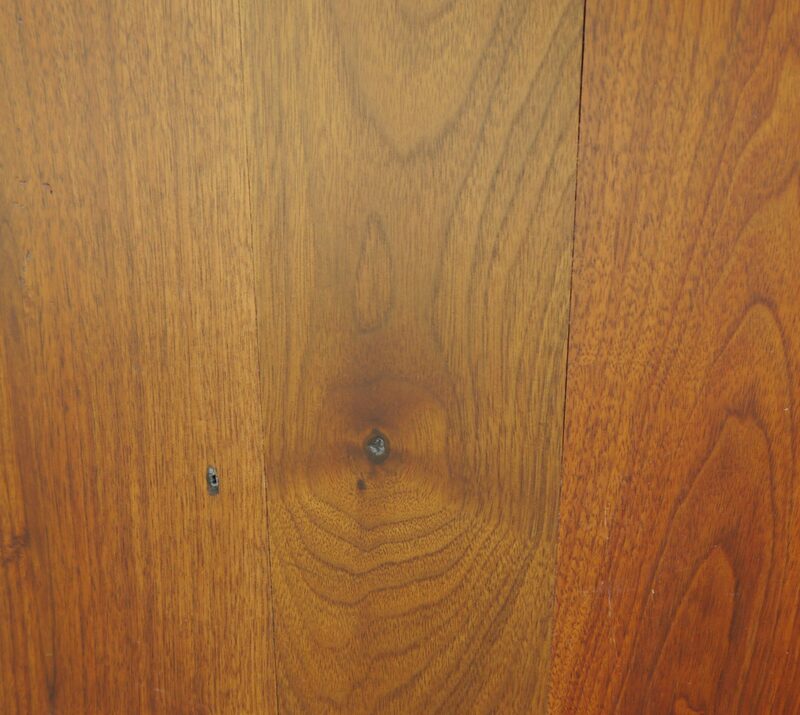 Reclaimed Walnut is a rich dark brown to purple in color with lighter tan sapwood. The grain is primarily straight and the texture is coarse and uniform. Being a reclaimed product, this material display characteristics such as nail holes, insect holes, and checking. This species provides a dark rich flooring option that suits any design style. Reclaimed Walnut is generally sawn from antique beams and sleepers that hold up the structure. A sleeper beam is hewn flat on the top and tends to be round on the sides, sometimes still containing the bark from when the tree was originally cut down. Sleep beams are the main support structure of a barn and can be a range of oak, hickory, cherry, walnut and other hardwood species.